We were baby sitting our nieces last weekend. I had made these lovely little headbands for them some time ago and this seemed like the perfect time to give it to them. 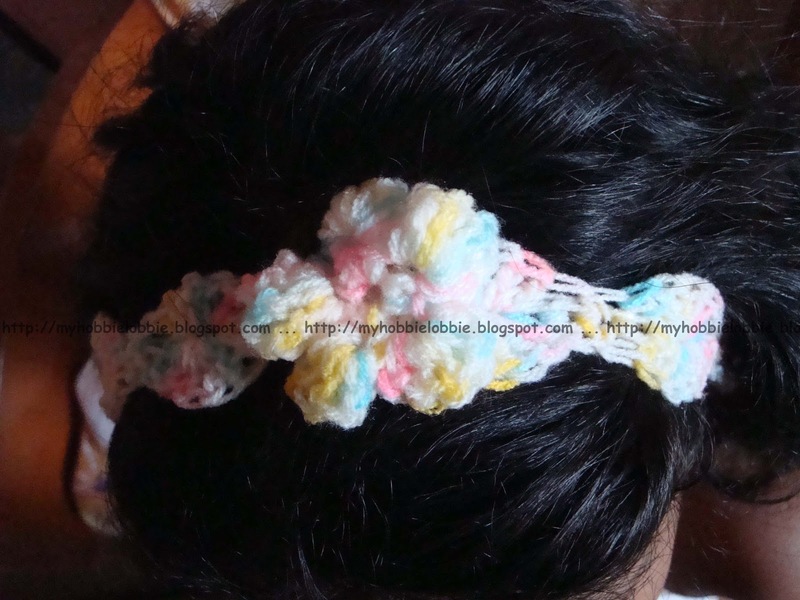 I must say, these were made sometime last September or so, when I first started experimenting with crochet. Even though I had hardly crocheted before, these came together quickly and the patterns are really easy to follow. The headbands were received with a lot of excitement and giggles and explicit instructions from the younger one to whip up a colorful blouse or top for her, to go with the headband. I was thrilled that they liked them and am now looking for patterns for a kiddie top that I need to get started with. If anyone has any suggestions, I'd love to hear them. For the free pattern, please visit the Art of Crochet by Teresa blog. I must say, I learned almost all of my crochet skill watching Teresa's video tutorials on You Tube. She's an amazing instructor. 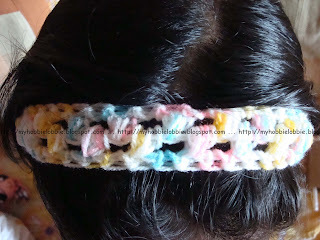 For a video tutorial for this headband, click here. This is another pattern that you will find on Teresa's blog. Click here for the free pattern.